Congratulations to the OBC poster prize winner at the 2016 CRSI National Symposium! We were pleased to present the OBC poster prize to Mr. K. Rajasekhar from the group of T. Govindaraju at the Jawaharlal Nehru Centre for Advanced Scientific Research, Bangalore. Mr. K. Rajasekhar presented his work on ‘Rationally designed peptidomimetic modulators of AB toxicity and related oxidative stress in Alzheimer’s disease’ on which he also recently published a Feature Article in Chemical Communications. 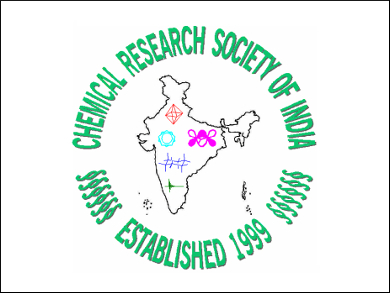 The 19th CRSI National Symposium in Chemistry is the most important annual chemistry symposium in India and took place from 14-16 July 2016 at the University of North Bengal (NBU), India.